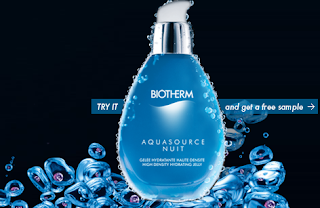 Aquasource Nuit contains revolutionary skin care technology to specifically address the overnight hydration needs of women. Concentrated in Mannose, Thermal Plankton Cellular Water and P. Antarctica, a micro-organism that has the unique ability to retain water, Aquasource Nuit helps replenish skin’s water reserves. Upon wakening, the skin looks beautiful and more luminous, day after day. Click on the 7th circle on the right hand side of their page to get to the order form.